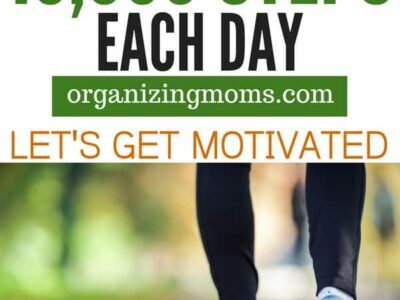 Are you trying to improve your health by moving more? 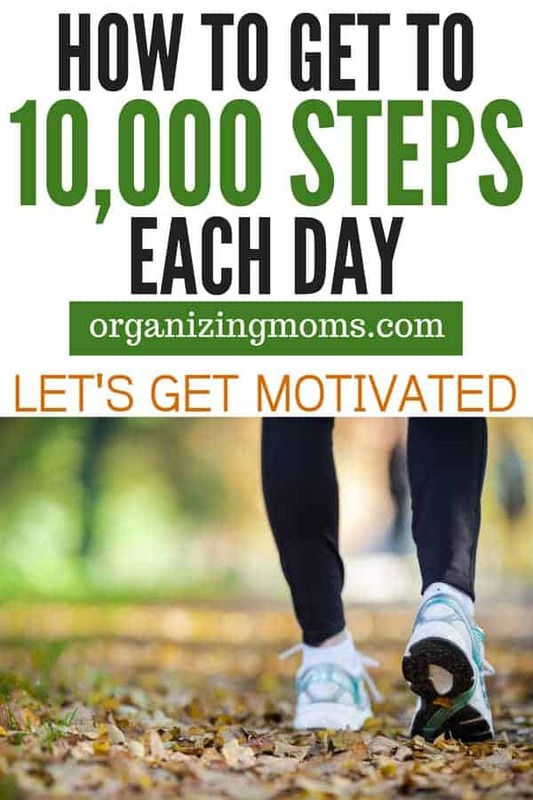 One goal that many people have set for themselves is to walk 10,000 steps a day. Studies have shown that 10,000 steps is the minimum amount needed for good health and weight loss. Everyone’s body is different, but setting a step goal is a good way to quantify your activity. When you are counting steps, you can track it and make changes as needed. There are all kinds of great pedometers and fitness trackers on the market. My favorite is the Fitbit. It counts my steps, monitors my heart rate, tells me how many times I’ve climbed a flight of stairs each day, and tracks my sleep. It also doubles as a watch, which is great for me because I don’t think I’ll ever be able to get used to using my mobile phone as my primary watch. Once you get a pedometer to track your steps, you’ll want to wear it a few days to see how many steps you naturally take during your regular daily routine. After three or four days of wearing your monitor, you should be able to see an average amount of steps taken each day. After consulting with your doctor, it’s time to build your fitness by adding in more steps. When I started using my Fitbit, I set my goal at 1,000 steps before my average. Once I did that for about a week, then I increased it by another 1,000 steps. 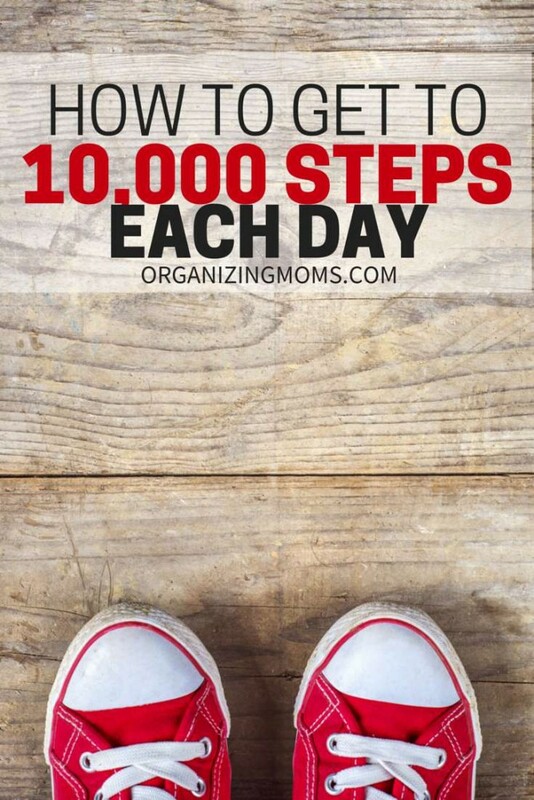 I kept increasing each week until I got to 10,000 steps a day. Make a go-to “loop” in your house. Yes, this is very goofy, but it’s effective. Find a place where you could walk around in a loop (the larger the better) for an extended period of time. I have a “loop” from our kitchen to our front door, and another one in our hallway. If I have a few minutes to get some steps in, I walk the loop. This helps me make use of those few minutes here and there. Walk in place while watching a show. I try to walk every time I want to watch Real Housewives. I figure the walking cancels out the time wasted watching people argue and gossip about each other for an hour. Make laundry last forever. If I’m trying to get steps in and get laundry done at the same time, I’ll make putting away laundry as inefficient as possible. To do this, I take an item out of the dryer, fold or hang it, and then put it away in the proper closet or dresser. Then I go back to the dryer, and do the same thing with the next item. Once the load is done, everything is put away, and I’ve put in a lot of steps. Take a walk with your favorite podcast. I love listening to podcasts, so if I’m able to go for a walk outside the home, I listen to one as I walk. It makes the time go by quickly, and I’m either entertained or learning something new as I walk. Mall walk. Now that my kids are a bit older, this doesn’t work. But when they were okay with staying in the stroller, we’d go to the mall and walk around. Of course, this was pre-Fitbit days, but it was a good way for us to get out of the house, and for me to get some exercise. Walk in place (or in your loop) while on the phone. If you like to chat on the phone, this is a great way to get in some extra steps every day. I walked while I was on hold with customer service last week, and I let them know how many steps I got in while I was waiting for them. They were not amused. Put things away. One at a time. Take a room, and one-by-one, put everything back in its place. If you have to bring an item all the way to the other side of the house, do it! It helps you to get in more steps. Park far away at the store. I know, this is always given as advice, but it will get you a few more steps. Why not do it? Check out some of the free exercise videos on YouTube. You can find recordings of popular exercise games like Just Dance and Wii Fit videos. It’s fun to play along with the videos, even if you don’t have a game set. Plus, it helps you get in a lot of steps. This is one of our kids’ favorites!